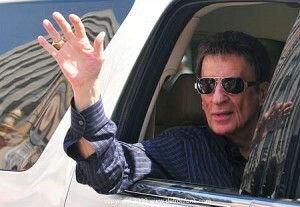 Mike Ilitch, Detroit businessman and owners of the Detroit Red Wings and Tigers now wants to buy the Pistons. The Detroit Pistons are for sale after long time owner Bill Davidson died last year. Davidson’s wife, Karen, is now selling the team, meaning they may not stay in Detroit! While Ilitch has led the Red Wings to four Stanley Cups and a Tigers World Series appearance in 2006, he has also come under criticism for fans for not paying enough attention to both of his teams. “We believe we could bring a lot to the table that could be tremendously positive for the Pistons franchise, the NBA and the fans of this community,” Ilitch said. Ilitch bought the Red Wings in 1982 and the Tigers a decade later in 1992. The talk of Ilitch buying the Pistons comes at a time where the Red Wings are looking for a new home. The team’s lease at Joe Louis Arena expired in July. While many are speculating that the Red Wings could move to the Palace of Auburn Hills, Ilitch has been adamant about keeping the team in Detroit in the past. The question is…. if Ilitch buys the Pistons will April in the D become Ilitch in the D?